Tax issues can pose serious challenges to anyone — the owner of a small business, a homeowner with rising property taxes or an ordinary taxpayer facing a tax audit. Regardless of your tax issue, The Keuling Law Firm can help. Eric C. Keuling has earned a reputation among clients as an approachable legal advocate who finds reasonable solutions and knows how to achieve practical results. He earned a post-law school graduate degree in taxation (LL.M., Taxation, University of Florida Levin College of Law, 2016) and is currently admitted to the United States Tax Court (the federal court where approximately 90% of all IRS/Taxpayer disputes are tried). Delinquent & Amended Returns: Filing delinquent or amended returns are often the first step in establishing a true and accurate tax liability. If a taxpayer has a filing obligation but fails to file, the IRS can file a return for them. If you have returns that need preparing, Eric Keuling can help no matter the number of years involved. If you are entitled to a deduction or credit missing on the original return, he can prepare amended returns so that you can legally and ethically lower your tax liability. IRS & State Audits: Receiving an audit notice from the IRS or Indiana Department of Revenue can be a scary proposition. In dealing with audits or examinations, preparation and expedience are crucial. Eric Keuling's understanding of both tax law and procedure allows him to help walk you through the entire process from start to finish, so you always have someone by your side. Tax Fraud & Evasion: There are several different types of tax crimes. You may be guilty of committing a tax crime if you intentionally avoid paying taxes by knowingly and intentionally filing false tax returns, failing to file your tax return when tax is owed, under-reporting your taxable income, claiming excess deductions that reduce your tax liability, or assisting others in the illegal conduct described above. A criminal tax investigation for tax fraud or tax evasion is a very serious matter. If you are the subject of a criminal tax investigation or seeking tax amnesty, you need an experienced Indiana lawyer who understands the tax laws. Call The Keuling Law Firm today for an initial consultation. Collection Due Process Appeals: Not all IRS matters can be handled through the mail or over the phone. For those times, the IRS may allow for what is known as a Collections Due Process (“CDP”) Appeal. The CDP Appeal sends that matter to a specific IRS officer, where the goal is to facilitate a resolution through one-on-one interactions. Negotiation is an incredibly important part of the CDP Appeal, and Eric Keuling's expertise and experience allows him to negotiate the most favorable settlements available. 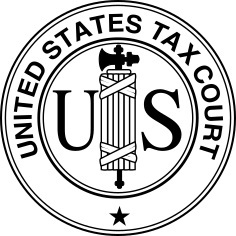 United States Tax Court: The United States Tax Court is a specialized court designed to strictly handle tax matters. Handling matters in a specialized court requires specialized knowledge. Let an attorney who is licensed to practice before U.S. Tax Court handle your case. Most U.S. Tax Court cases are settled before trial and Eric Keuling can make sure you receive the best offer available. Liens, Levies & Garnishments: The U.S. Department of the Treasury and the Indiana Department of Revenue are some of the most powerful debt collectors in this country as they have the ability to both assert liabilities and collect on them without your consent. If one of these agencies has threatened you with a lien or levy, Eric Keuling will act quickly to preserve all your rights. He assists taxpayers with lien disputes and the removal of levies or garnishments. If you need help disputing a lien or removing a levy or garnishment, give Eric Keuling a call as soon as possible. He will work with you to quickly resolve the matter. Installment Agreements: If you are not financially able to pay your tax debt in full, the IRS and Indiana Department of Revenue offer installment agreements that allow you to pay back the tax debt over time. Installment options vary according to the amount of tax liability and your financial situation. Eric Keuling understands all the rules for the various installment options, fresh start incentives and collections appeals process rights. If you owe a tax liability to the IRS and need to know your options, give him a call. IRS & Indiana Department of Revenue Offers in Compromise: An Offer in Compromise (OIC) or Offer in Settlement (OIS) is a way to settle your tax debt for less than the full amount owed. The IRS and Indiana Department of Revenue Offer in Compromise programs may be a legitimate option if taxpayers cannot pay their full tax liability or when doing so creates a financial hardship, or when there is a serious question as a taxpayer’s liability and other procedural safeguards are unavailable. Eric Keuling represents Offer in Compromise clients from start to finish – from an initial evaluation on eligibility for the program through the Appeals process for rejected offers, if necessary. If you owe money to the IRS or Indiana Department of Revenue and have no idea how you will ever pay it back, give him a call. He is more than happy to discuss your options with you. 1. What is a Tax LL.M.? A Tax LL.M. is a specialized degree awarded to tax attorneys who complete advanced studies in tax law. The program typically lasts two semesters and is completed after the attorney has already obtained his or her law degree. An attorney does not require a Tax LL.M. to practice tax law, but because today's tax code has become so complex, many tax attorneys find it beneficial to pursue advanced studies in tax law if they become serious about specializing in tax law. The Tax LL.M. degree is a recognition that these attorneys have completed advanced training in tax law and are tax specialists. 2. What is the difference between a C.P.A. and a Tax LL.M.? C.P.A. stands for “Certified Public Accountant”. It is a professional title awarded to non-lawyers who passed an exam in taxation and accounting. A C.P.A. typically requires four years of undergraduate studies. While both a certified public accountant and a tax attorney are authorized to prepare tax returns, only a tax attorney is authorized to litigate tax cases in the federal courts. There are also differences in training between a C.P.A. degree and a Tax LL.M. degree. A Tax LL.M. degree emphasizes training in the legal basis for what you enter into the tax return (e.g., whether you have the right to claim a deduction or tax credit). The emphasis is on justifying your tax results to a judge and the IRS. A tax attorney studies the statutory basis and common-law principles of taxation in order to become a better advocate for the client. A certified public accountant is often better trained than a tax attorney in internal auditing, bookkeeping, and other administrative functions of tax compliance. In other words, a certified public accountant knows more about how to track your expenses and create supporting documents for your tax returns than a tax attorney. 3. Why should you hire me, a tax attorney, to prepare your taxes? A tax attorney's primary responsibility in any tax controversy is to defend you against IRS assessments and penalties. Eric C. Keuling's training reflects that objective. He spent four years studying substantive tax law and regulations. He knows the legal procedure for challenging IRS positions and contesting tax penalties. Where you have overpaid taxes, he may seek a refund on your behalf. If you underpaid taxes, he could still seek to reduce your penalties. Because he is trained to litigate tax cases, he is able to anticipate the arguments the IRS might make to challenge your tax returns. Instead of relying on word of mouth, he actually researches the law and takes a tax position only when he is reasonably confident the position is defensible. One potential ground for reducing your tax penalties is that you have relied on a tax attorney's legal advice and obtained his written opinion. Eric Keuling is willing to, for a fee, obtain a tax ruling on your specific legal issue and, when needed, issue my legal opinion in writing. A good way to test your tax expert's reliability is to ask whether the expert is willing to issue a legal opinion in writing. Eric Keuling offers tax planning as a paid service in addition to preparing tax returns. When you come to our firm, you can rest assured that you are relying on the expertise of a professional who knows what he is doing. 4. Why should you hire me instead of using a software to prepare your own taxes? You employ the service of a professional either because you wish to save time or because you want to avoid the hassle. Eric Keuling likes to use the analogy of a car mechanic: you may have a car mechanic change your oil and replace your tires, or you may perform the tasks yourself. It is always cheaper to do things yourself, but sometimes you are willing to pay someone else to save you the time and hassle. When you choose a professional, you are looking for competence, expertise, and peace of mind. The value he delivers is the time you will save and the peace of mind you will enjoy. When you employ our services, you will know that your tax returns have been prepared correctly, and you will know that you have someone to represent you before the IRS in case of any situation. The cost of our services and value to you is small compared to what you would spend on buying software and filing your own returns. In fact, the more complicated your tax returns, the more cost-effective you will find our services to be. 5. Why should you hire me, a tax attorney, instead of a certified public accountant to prepare your taxes? Professional competence differs from individual to individual. Some certified public accountants are competent enough to represent clients before the IRS and appear in administrative hearings. The average accountant, however, prefers to refer the client to a tax attorney when the tax litigation becomes complex. Non-lawyers who have not been trained in legal argumentation may not be able to win the best outcome for you if they represent you before the Tax Court. Also keep in mind that only tax attorneys may represent you before any federal court of appeals should you lose in the Tax Court. If you are happy with the service your certified public accountant has provided you in the past, you should stay with that professional. If, however, you were unhappy with the service you received in the past or would just like to give another professional a try, please consider Eric Keuling. 6. What is the difference between my tax-preparation services and those offered by the big-name tax-preparation companies? Big-name companies promise peace of mind, but they do not always deliver when it comes to the details. For example, who will be the professional representing you when an IRS audit happens? If you must litigate to reduce your tax penalties, who will be the tax attorney assigned to you? Do you know the credentials of the people who will prepare your tax returns or handle your case if a tax dispute happens? What will be the fees those companies charge when they must hire a tax attorney to represent you? When you hire Eric Keuling to prepare your tax returns, you will know exactly the answers to those questions. When you call for tax advice, you will reach him instead of an answering machine. If you live within travel distance and make appointments to see him, you can always visit his office for face-to-face interactions. You would choose a health insurance plan by choosing your doctors first. So why should you be any less careful in choosing your tax professional? 7. Why are the prices I charge often lower than those of my competitors in the business? Our prices are often lower than many of our competitors’ because we have fewer and lower overhead expenses. Technology has allowed us to keep expenses low. As a smaller business operator, our firm is also in a lower tax bracket than many of our competitors. That means we can enjoy the same profit margin even when we charge lower prices than our competitors. That competitive advantage has allowed us to pass on savings to you. We always aim to provide better, more-personal service at lower prices than our competitors. That creates real value for our clients.